Audit in India is a career generally dominated by Chartered Accountants and the big four firms – Deloitte, Ernst & Young (E&Y), PricewaterhouseCoopers (PwC) and KPMG. Neha Sharma, an auditor who now has an international career with a leading big-4 audit firm, managed to break into the field with an engineering degree + MBA. She writes about what it means to be an IT auditor, how she got into the field after engineering, the pros and cons of a career in audit and more. That joke pretty much sums up the work-life of an auditor, but there is much more to the job. 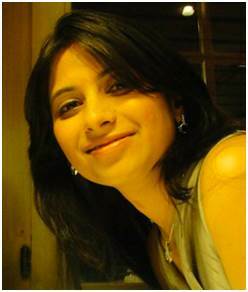 My name is Neha Sharma and I am currently working as a Senior Consultant with one of the Big 4 based out of San Francisco, USA. In this article, I hope to give you an insider’s perspective about the life of an auditor. Let us rewind back a few years and go back to the time when I had just finished my Electronics Engineering, just like any other middle-class family girl in Central India. I decided that I wouldn’t follow the crowd and wait for the right job in the field of my interest and jump to being a manager! I toiled hard during my MBA from Symbiosis in Operations Management only to graduate during the worst depression era of our lives. But as they say God has His plans. Faced with the challenge to meet my student loan deadlines I accepted the offer and joined a top MNC Bank BPO (now owned by one of the top India IT services company). As a fresh graduate, I quickly learnt the basics of IT operations working as Information Security & Compliance Manager in a financial firm & moved up on the corporate ladder. The best thing about the job was that it fuelled my Curious George personality and appreciated that I constantly asked “Why”, “Where”, “What if”. 7 AM: Wake up. Shove some breakfast and get ready for work! Make sure you are dressed up in formal business suits & do not forget all tools: Smartphone& laptop. 8 AM: Grab a Starbucks Black eye with two shots of espresso,arrive for work at your own or client’ office (depending on your current project). Scramble for aseat and set up your workplace. Being on the West Coast in USA, you start receiving work emails from East Coast (3 hours ahead in time zone). 9 AM: Meet the client and start discussing your plan for the day. Make the best use of your time by asking relevant questions, requesting and gathering documents. Be ready to receive push back from the client sometimes unless it’s your lucky day and the client is happy, prepared & ready. 12 PM: Take a break from excel sheets and systems for an hour long lunch. Walk around outside off to get some fresh air, soak up the California Sun, pick up your dry cleaning, get some groceries. 1 PM: More meetings with client and senior management for status updates and timelines of existing audit. 3 PM: Hit yourself with another shot of caffeine and get into solving issues and concerns of juniors working with you and mentor them for their work. 5 PM: Have another client meeting to wrap up and inform day’s progress. Prepare for end of day during non-busy season.During busy season(generally month-ends and financial year-ends), you may realize that this is only half of the day’s work and you might need to continue the work until late evening. 5PM: This is the time when you realize that you were busy taking too many chai-sutta-lunch-snackbreaks & have to complete a critical document by end of day. Most of the times, the management may expect you to work late in the night and leaving office before sunset might be considered a bad practice with management making wrong opinions about your work ethic. So, if you are in India expect to work till 9 PM. And if you are in the busy season, it is pretty much given that you would spend 12-14 hours per day in office. 6 PM: Evening time is for parties and social meet ups to unwind and relax. It may be a happy hour session with your office friends or a formal client dinner with engagement managers or trying to maintain some social life. Fall in love with Coffee. It’s your best mate ever. Realize that you would only be home during the times when your husband is asleep i.e. very early mornings and late nights. Learn the jargon which may make you look smart. Accept that hard work would only take you so far and your success mainly depends on your diplomatic tactics. Here are some of the pleasures and pains of a job in audit. With so many lunch and dinner meetings/events sometimes you have to book your husband’s calendar to join him for dinner. You may not get time to do usual household chores like cooking, cleaning, washing, etc. and need a supportive life-partner to manage your professional life and protect your house from falling apart. Working with colleagues from multiple countries makes you more open and gives you an amazing experience to learn about world cultures. The organizations are pretty friendly where you have easy access to directors, partners and managers. If you have been brave enough to reach this point in the article and are still undeterred the next question is – what tools do you need to join the club? Keen eye for details: Observe things, which most people might overlook and ignore. Think out of the box: At the risk of sounding clichéd the best solution is the easiest one. Documentation! Documentation! Documentation! : Got to evidence your work by preparing documents. Hence it is a must have skill-set. Strong interpersonal skills: As you would always interact with people and be dependent on them for work thus you must be a team person. Go back to books: Be up to date with new Industry standards and keep reading about what’s going on in the world of audit. In a male dominant industry, being a female auditor has its own pros and cons. Being a female you are born with good observational skills. Your OCD for being organized, planning and management comes in handy. Most of the times your colleagues and client make sure that your requests are quickly noted and taken actions upon. You get to work in an employee friendly and safe environment. The organization has special benefits like home drop offs for female employees. The standard female barriers about professional growth, promotion, power struggle remain in most organizations and you may feel that you need to prove yourself over and over again. As there are very few females in senior management positions you may not always find the best role models and mentors at your workplace. You face the risk of being tagged as too aggressive if you talk about your progress or too laid back if you do not talk enough. However, with everything said and done if you have the self-confidence and ability to use your challenges as opportunities, it is not a bad work area for a woman as you get to work in sophisticated work environment at a global level. If you align yourself with a supportive team, be aware of what is going on in the organization and help your fellow females you would soon rise up in the ranks and make some good friends for life in the process. Disclaimer: The write-up is based on my personal experience and interaction with colleagues across multiple organizations and does not reflect the opinion of any individual employer. Good post. Also, I found it little bit scary. For me career is important. but life is important also. Is audit job so difficult as you say, specially for girls? Can you tell about the interview questions they ask in good audit conmpanies and how to prepare for it? It is good to know that you wish to join the elite club. To be fair like any other job you have a peak and off peak season. Normally during the financial reporting season (which is Dec 31 in some countries and March 31 in countries like India the work load is more. You do need to put in the extra hours. However, during the off peak seasons you get a lot of free time to pursue your interests. Also, now a days the companies are trying to achieve a good work life balance for their employees. This helps in a way that you would have more leaves, additional time offs and flexible work locations i.e. home or office. The questions would majorly focus on your experience of IT audit or Tax work if you are a CA. Let me know if this helps. The story of your life is quite impressive and interesting, I must say. I’m an Indian girl pursuing MBA in Canada. Of late I’ve been thinking of having a career as an auditor but I’ve been quite apprehensive about my chances of building a career in auditing. I’m also someone who did Electronics and communication engineering for undergrad, followed by few years in the IT services. So I’d like to know what certifications/decisions helped you to break into the world of auditing? I’m sure that it’s not easy to find a job in North America without some great credentials in your chosen field! It would be great if you could share the information. Thank you! First off kudos for pursuing MBA. I have realized that it is both pleasure and pain combined in one degree. I have had a lot of people ask me about how auditing ties to engineering? While I do audit, it is more towards the IT and applications side and not the standard tax, financial and balance sheet audits. Normally with some kind of technical background you should be able to join at an entry level associate for IT / Advisory services. You can also look for various industry accepted certifications like CISM, CISA, CRISC etc. provided by ISACA. Although in my personal opinion I do not think these certificates are mandatory for getting a job, but they would surely boost up your resume and help you break into the North American job field. Hope this helps. All the best!! Thank you for your response Neha. Having worked in the IT industry for few years, I’m aware of IT auditing processes though I haven’t had a chance to get involved in them. Do you, by any chance, have an idea if there are good opportunities in this field, across Canada? Also, is the career growth in this field solely dependent on the organization that you’re working for ? I would search on linkedin and other job portals for employment opportunities. While a good company certainly gives you the opportunities to grow and learn the field is fairly small and limited and all the companies follow similar standards and guidelines. I guess growth should depend more on the kind of profile you get rather than size of the organization. how did you got international posting in USA? Is it easy for indian auditor to go abroad for job? please explain the process in detail. I don’t think anything is impossible. Now a days companies are looking out to expand and I believe your best bet would be to reach out to your friends, contacts and linkedin connections. Keep interviewing for the companies of your choice and you might get it. Also, if you are in an organization similar to Accenture, Capgemini etc they have multiple onsite opportunities. You can work with your team internally and work towards getting those. hi Neha! Have you noticed any negative health efects because of a stressful job like that? how to deal with it? Fortunately no health concerns as yet. Remember to catch up on your sleep whenever you can. Also, like I mentioned in one of my previous comments it is not this crazy all year round. You would get a lot of free time as well. I want to enter in this IT audit field. I am btech 2012 passout, having experiance in IT as well as manufacturing field. I am 9001 internal auditor certified and 27001:2013 lead auditor certified. Please guide me what I have to do to enter in audit line.